Newborns are unique. Their needs differ from older children because they’re growing and developing at a rapid rate. Their external environment shapes their sense of safety and security which contributes to how quickly they achieve different milestones as they get older. If being a parent of a newborn child has you scratching your head because you don’t know what to expect next, don’t worry. Every new parent feels overwhelmed at times. Knowing everything you can about what is going on with your baby physically, emotionally, and developmentally can help you become better prepared for parenthood. 1. Newborns often look funny for their first few weeks outside the womb. When a baby is born, he or she has just traveled down the birth canal. That means that his or her head may look a little “smooshed” as Parents magazine describes it. Their eyes may be shut often and their faces puffy. They’ll look like this for a few weeks before you start seeing how beautiful or handsome they’ll be as they get older. 2. Little babies don’t start smiling or sounding content until they’re several weeks old. It takes about six weeks for a baby to start communicating in other ways aside from crying. Be patient. You’ll see them smile and coo before you know it. 3. Newborns eat every two to three hours. If you’re nursing your child, it can be very difficult to know if he or she is getting enough milk. You’ll start to see a difference in their weight if they are. They’ll also need more frequent diaper changes. After the first five days at home, they should be wetting five to six times a day and soiling their diapers one to two times a day. 4. You’re going to hear them crying a lot. It’s the only way a newborn knows how to communicate! That’s why it’s important to learn how to discern their cries right away. You’ll notice a distinct difference in a hungry cry and a wet cry. You’ll also know when your baby wants to be held. 5. 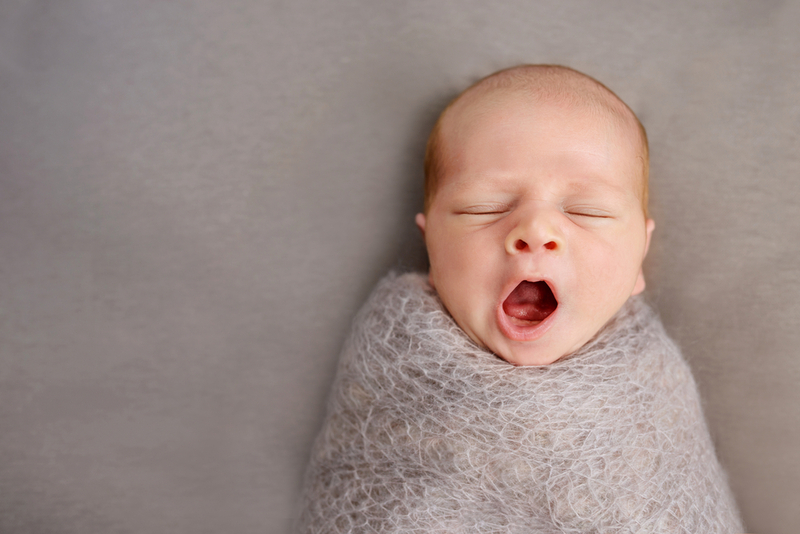 Babies sleep frequently but not for long periods of time. Keeping a newborn asleep is an impossible task. They’ll sleep a lot but not for any duration of time. Keep this in mind when you’re planning your day. If you can break down activities to fit into short intervals of time, you’ll get things done. 6. Newborns need to be monitored around the clock. Because a baby cannot tell you when he or she doesn’t feel well or needs something, the only communication they have is to cry. If you haven’t mastered which cry means what, it will take you some time. You can easily monitor your baby as he or she grows with the Lovey’s Artificial Intelligence Baby Monitor. Designed to put your worries at ease, it alerts you to changes in movement, temperature, sound, and even the humidity in the room. 7. Your baby grows quickly. They’ll be out of the newborn stage quickly, so try to enjoy every minute of it that you can. Take lots of pictures and spend time bonding with your child. The more they feel safe and secure, the more independent they’ll become. They know that it’s ok to try new things which helps them develop quickly and successfully over time. Now that you know what to expect from your newborn child, you’ll be better equipped to handle whatever happens with them. You’ll know when to act quickly to protect their health and safety, and when to slowly give them the opportunity to adjust to their surroundings, their family, and the stimuli they encounter regularly.